NEWARK, N.J.—By the time this piece will be published, I’ll be almost 7,000 miles away from this street, this city, its people. This is weeks late, as I’ve scoured the city and my photos looking for a glamour shot to post, something that could sum up the time I’ve been here. For a while, none of the pictures I had were quite picturesque or didn’t tell the story I wanted them to tell of Newark. 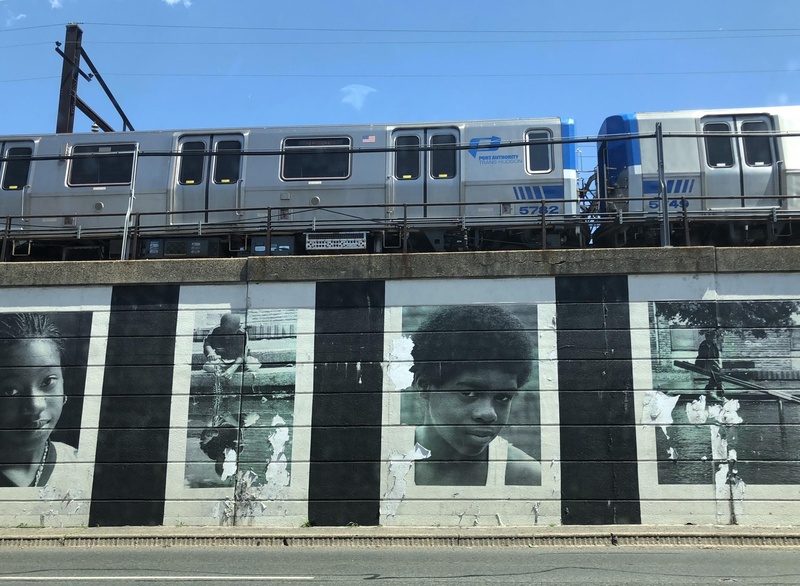 Most people only pass through the city briefly, get a glance of ‘dirty jerz’ through the airport or the train and make their opinions accordingly. Maybe they even know of Newark because of Sen. Cory Booker or its unfortunate reputation as the unfriendliest city in the world. Many believe it to be a mispronounced New York City in more ways than one. But I’ve known this city all my life. I grew up eating arroz con gandules every Sunday in Forest Hill and buying my discount clothes on Broad Street and celebrating the Portuguese festival every year in the Ironbound. I knew this city past the views in a car window, past its reputation. How was I supposed to show to the people who are simply passing by? So I settled on this photo; I stopped right in the middle of McCarter Highway, phone perched precariously out the window, seatbelt straining ever so slightly against my arm as I took the shot. I then continued on my way to the airport to catch my flight, peeling away against the blare of traffic. Jessenia N. Class ’20, a Crimson Associate Editorial Editor, is a Cognitive Neuroscience and Evolutionary Psychology concentrator in Quincy House. With a pair of all-around efforts, the Crimson picked up straight-set victories over both NJIT and Rutgers-Newark to maintain its one-loss conference record and post its best seven game EIVA start in Harvard history.